Roughly two months before its return, Artbox has hinted at several changes in its 2.0 edition. And we must say, the pop-up marketplace has delivered on its word with offerings of hipster treats from over 400 retail and F&B retail, more twinkle from a doubled 6km-long fairy lights decoratives and most importantly, spacious walkaways for a breezy walkthrough of its grounds. Sick and tired of rainbow-hued treats? Then look to GoShot that offers gothic-themed desserts, blinged out with edible gold flakes! 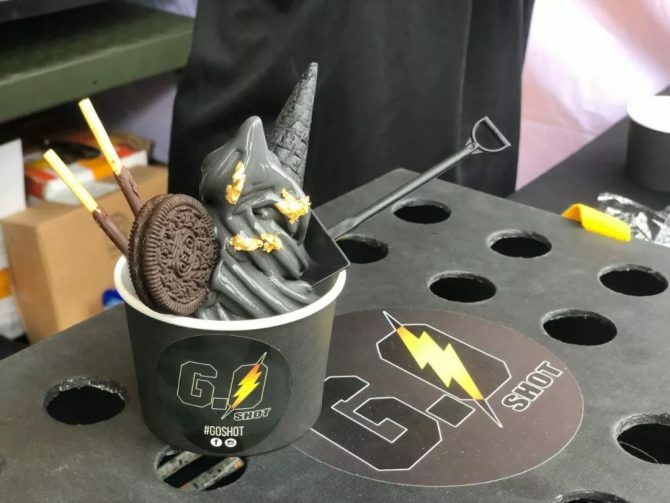 Charcoal soft-serves are presented with edible toppings that are chosen based on the black-colour spectrum to stay on theme.